Federal employees may be back at work, but that doesn’t reduce the stress on many families at Elsie Whitlow Stokes Community Freedom Public Charter School in Washington, DC, says dean of students Bob Caballero. “A baby cannot wait for the government to get their house in order,” he noted. Moreover, some Stokes parents are contract workers — cleaning staff in federal buildings, for example — while others work in related industries, such as food service. There is no back pay coming to these workers, he explained, and this remains a difficult period. This week’s Education Town Hall offers a discussion of on-going shutdown-related stresses at school and suggestions for teachers and parents helping young people cope. Full recording here and useful links for parents and teachers below. 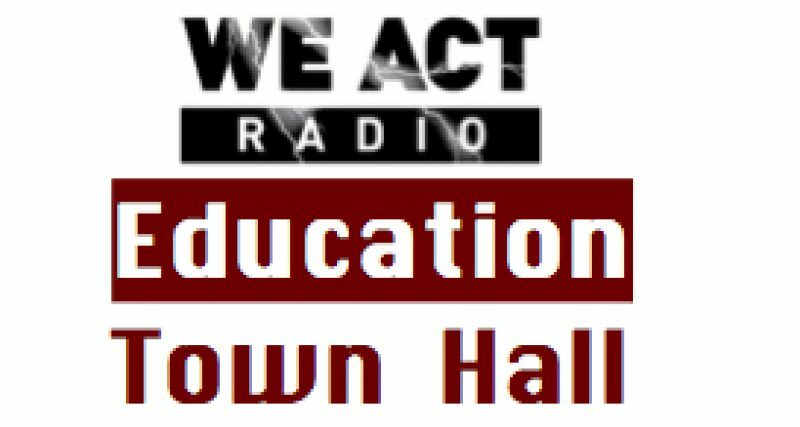 Caballero and Erika Bryant, executive director, joined the Education Town Hall on Thursday, October 17, to discuss on-going effects of the shutdown on local schools. In addition, Stokes’ administrators spoke about students’ learning experiences during the shutdown. For instance, six graders followed up on classroom civics lessons with a trip to the Capitol, where they joined a teach-in/protest with Mayor Vincent Gray. Dr. Ramona Edelin, executive director of the DC Association of Chartered Public Schools, spoke with host Thomas Byrd about the quarterly payment schedule for DC charter schools and other aspects of school finance. While the Oct. 17 return of government function means charter schools will not miss their October payment, the shutdown highlighted a number of financial issues that need attention, Edelin reported. “Uncertainty is stressful,” Dr. Mary Alvord told the Education Town Hall. The shutdown has already created a great deal of uncertainty, and the temporary resolution reached late on October 16 adds more. Moreover, like Caballero above, Alvord noted that many DC-area families face permanent financial losses due to the temporary shutdown. How much of this stress do young people understand and absorb? And what can the adults around them do to help ameliorate it? Younger children overhear things, Alvord points out, and they often misinterpret what they hear. She suggests parents and teachers listen to what children are saying to determine what they already know and if there are any misunderstandings. The key to responding, the psychologist says, is resilience. Resilience is “the ability to adapt well to adversity, trauma, tragedy, threats…and stress.” For more on this important topic, see the APA Guide for Parents and Teachers, co-authored by Dr. Alvord. “The more someone understands their own situation, the more they can make plans, the more they feel in control of their life…[Regardless of government action], we can control what we do with our family, our class, our school,” Alvord concludes. In addition to the resilience guide linked above, the American Psychological Association Help Center and the Maryland Psychological Association offer many free downloads and other useful resources for the public. Dr. Alvord also recommends contacting the local YMCA for community resources.